16+ hours of lesson plans and ties to Common Core and Next Generation Science Standards. 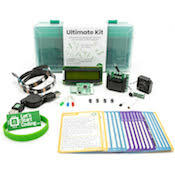 Bring collaboration, creativity, and real learning to your classroom with our online tools and a Let's Start Coding kit. Every kit comes with project guides, example code, and walkthroughs to explain how the program works. You don't need a degree in computer science. Complete the challenges yourself and you'll be ready to guide your students. Students learn the vocabulary of coding while seeing it in action. Detailed graphics, walkthroughs, and videos explain how each project works. For around $50 per kit, you can get students started with 14 step-by-step projects that will inspire them to learn more about programming and computer science. Like many teachers, Amanda was looking for a way to bring more coding into her classroom that could engage her students and teach them valuable skills for the classroom and the workplace. Click the video to hear her story. 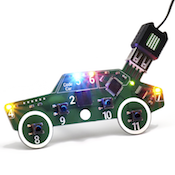 Looking for Code Car Resources? Click Here. Code Car resources are being developed right now. We will contact you as soon as they're available for the grades you requested. Thank you! 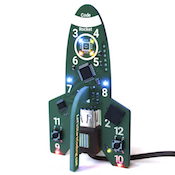 Download Free Resources For Our Circuit Kits. All of our resources include Lesson Plans for 14 structured coding lessons that can provide over a semester of code learning. Along with the step-by-step online coding examples for kids and a Base Kit for each student, you'll have everything you need to start coding in your classroom. Fill out the form below and then click the curriculum links after submitting. The docs will open/download in PDF form. Need a quote for your classroom? Want advice on pitching coding to your administration? Our team is here to help. We can help you decide how to fit our coding lesson plans into your classroom with fun and educational ways for your kids to learn code. As a bonus, we'll make sure you are "in the know" with all the latest news about programming for kids.